Get ready for a one-of-a-kind audio experience: discover Venice through intimate, guided audio walking tours of the city's most historic and enchanting quarters. There are four guided tours for you to listen to as you walk through Venice, plus essential Italian words and phrases that every traveler wants to know. Based on the acclaimed classic guidebook Venicewalks, and featuring an exclusive traveler's Italian tutorial from bestselling language instructor Dr. Robert Blair, Walk and Talk Venice offers the expert guidance that can make you feel at home in this enchanting city, helping you to speak the language as you enjoy the history and beauty of Venice as never before. 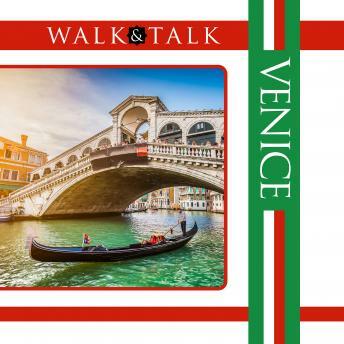 Make the most of your trip, or plug in, sit back, and let your imagination take you there, with Walk and Talk Venice.